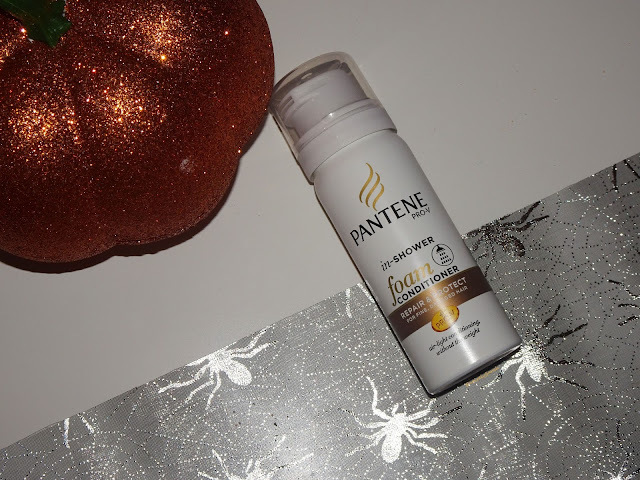 I had never really put much thought into the foam conditioner that Pantene brought out when I first saw it, and had no desire whatsoever to try it. That was until I was buying something a few weeks ago in Superdrug and the lady at the till offered me this travel sized one for just 1p with my shopping. An actual penny. I could not pass up trying this for a penny. I have to say, not really wanting to try this I didn't have a lot of background on it as I hadn't thought to looking into it so I was excited to explore it and see what it was all about. The foam comes in an aerosol can that is similar to hair mouse, which is nice and really easy to use. The can is a nice size for travelling, and the larger size is a nice size, similar to a full size of a hair mouse. I find the can very sleek and I love the way it wont get all squished and looking gross when you get towards the end of it, however this will mean you cant see when you get close to the end and so will have to guess by the weight change of it and how it feels to shake. The product has a nice wide nozzle for the product to come out of, and once shaken well you can press the cap down to dispense the product, it foams out easily and is really nice and easy to control. You can see on the picture of it in my hand it comes out in wide strips to create the foam from the shape of the nozzle. The foam is rich and quick this in consistency and when rubbed lightly between my hands it creates a nice lather before applying to the hair. When this comes into contact with the wet hair it seems to completely disintegrate and mixes into the hair quickly without a fuss. It almost disappears without a trace in the hair, which is nice, but I find it can be difficult to see where has been covered by the conditioner. I love the way this sank into the hair effortlessly and didn't feel too thick, I concentrated this on the mid lengths and ends as I didn't want apply it too close to my roots as I wanted to use it the same way I use all conditioners to be sure to fairly test it. I like how easy it was to rinse out, I used it in the bath as the picture shows (the bath has the bewitched lush bubble bar, reviewed here, I am not covered in soot before the bath!) and I felt like it was such an effortless product to use. My hair looked soft and shiny after being used and I was pleased with the result. 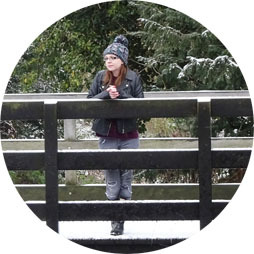 Overall I think this is such a nice product, it is quite different to anything else I have used but I do really enjoy it and think it is worth testing out if you have been eyeing it for a while. I don't think it is ultimately the best conditioner I have ever used, but its definitely a great one that I would pick up again should I be in the market for a conditioner and this one be on offer. The full size product is 180ml and retails for £3.99 on Superdrug here but does go on offer from time to time, so I recommend looking for 3for2 or a discount offer if you do want it as it regularly goes into the offers. I will continue to use this up and I am looking forward to using the rest of it, but my collection is currently so big I cannot justify repurchasing this until I have used up more in my collection. Do let me know if you have tried this and your thoughts as I always want to know your experiences with the products I review!